Since 1979, Freedman Chiropractic has been regarded as the premier chiropractic center in East Brunswick, NJ and is dedicated to helping patients of all ages. • Emergency Care & more! Lose weight and keep it off with the ChiroTHIN, a doctor supervised weight loss program at Freedman Chiropractic. We have partnered with Standard Process to offer a 21-day purification program designed to rid the body of harmful toxins. Freedman Chiropractic has been providing top rated chiropractic and wellness care to residents of New Jersey since 1979. Dr. Freedman lost 40 pounds in just 6 weeks using the very same ChiroTHIN weight loss program that is offered at the facility. We have partnered with Standard Process to offer a 21-day purification program to rid the body of toxins. Freedman Chiropractic has been New Jersey’s top destination for specialty chiropractic and wellness services since 1979. Located in the heart of East Brunswick, our state-of-the-art facility is equipped with the most advanced and modern forms of healthcare technology. Most adults and children who initially visit Dr. Ken Freedman have pain in their neck or back, suffer from chronic headaches or have a lingering condition. Dr. Freedman takes a “Whole Person Approach” to his patients by managing not only their symptoms, but addressing the underlying causes to their injuries and diseases. Our services have a proven track record in providing care for moms-to-be, infants, children, adults and seniors. In addition to chiropractic care, we offer Reiki healing, instructional classes, nutrition, purification and the doctor supervised ChiroTHIN weight loss program. We offer these and other alternative healthcare solutions. Dr. Freedman will identify the root cause of back pain and customize a plan best suited to the individual needs of the patient. 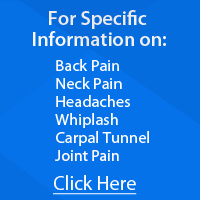 Car accidents and sports related traumas are common causes of whiplash. Our center specializes in musculoskeletal injuries. Custom foot orthotics are designed to keep the bones in the feet, ankles, knees, hips and lower back in a normal position. We offer a natural approach to better digestion and elimination without the use of harmful medications. Doctor supervised nutritional counseling provides our patients with increased energy, weight loss and improved overall health and immunity. Alleviate chronic migraines and cluster headaches through chiropractic care and without the use of harmful medications. Adjustments to the spine correct subluxations and restore proper function to the nervous system to alleviate sciatica pain. Gentle chiropractic adjustments for moms-to-be allow for a more comfortable pregnancy. Keep your child’s nervous system healthy with regular chiropractic care. Dr. Ken Freedman provides workplace wellness for a variety of local companies, ranging from small businesses to major corporations. East Brunswick Chiropractor 08816: Choosing your healthcare provider is one of the most important decisions that you can make. You want someone who is caring, knowledgeable, and accessible. You want someone willing to take the time to go over all of your options and treat you as a person, not just a diagnosis or condition. Freedman Chiropractic has been dedicated to providing our patients with long-term solutions to their health and wellness since 1979. For new patients we provide same day appointments whenever possible. We have convenient hours for those who can visit us during the day, evening or weekend. A variety of payment options are offered including cash, most major credit cards, insurance (if you qualify), health savings and flexible spending accounts. Dr. Freedman provides health and wellness to the entire family. For nearly 4 decades, Freedman Chiropractic has helped a wide spectrum of patients including expecting mothers, infants, children, teens, adults and senior citizens.